The price includes all bedding, soft towels and full oil fired central heating at your control. Short breaks are available from November to March, weekends or midweek stays, three nights minimum, please call or email for details. We have been coming here for years - it's a real home from home! Shelia and Chris make you feel very welcome every visit, even leaving a pint of milk and a cake for your arrival! 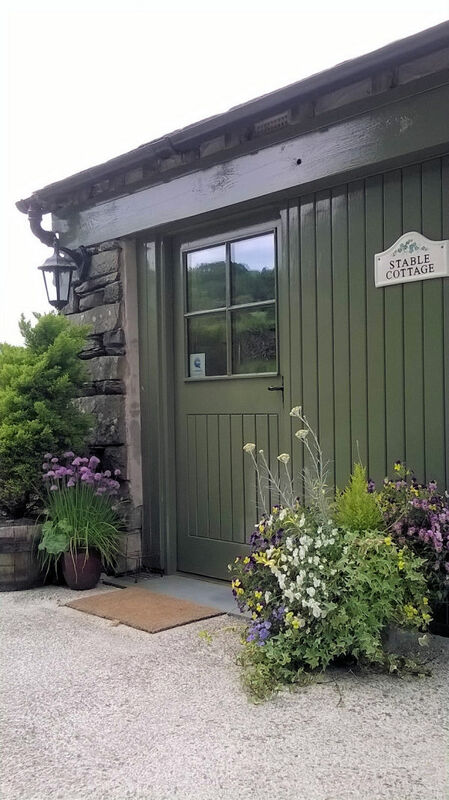 The cottage has two bedrooms, one twin room and one master, both with ensuite bathrooms (with underfloor heating). The master bedroom is great for those less able too. The open plan living area comprises of a kitchen with everything you need from washing machine, dishwasher, iron, tea towels and cloths. The lounge area is lovely and comfy with sofa, chairs, tv, DVD player, cd plater an electric woodburner, topped by a cute window seat to admire the view over fields and mountains! In addition to the lounge area is a large dining table - perfect for those family/ romantic meals! Beautiful views and lovely local walks around high wray- if you get up early you might catch the deer, owls or woodpecker. High wray is near to lots of interesting places including hawkshead and Ambleside, but far enough to feel that peace and tranquility of the Lake District ! Perfect break whatever the weather!